Dean’s father Conrad has been competing in sidecar racing since the early 1990s, making his TT debut in 1993 and now having stood on the podium on ten occasions, including a race win in 2014. Whilst a career in three wheels seemed likely, both Dean and his brother Adrian opted for the two-wheel route with Dean’s career getting underway at the tender age of 16. Outings with the Auto 66 club at circuits including Elvington and Cadwell Park saw steady improvement but a lack of finance meant his outings were limited and it was only a chance meeting that saw his career head to the roads and, in particular the Irish Support Road Racing Championships. Numerous victories were taken in 2010 and it’s been success ever since. After short circuit outings in 2008 and 2009, Dean made his debut on the roads in 2010, and immediately impressed in the Irish Senior and Junior Support Championships riding for McKinstry Racing. A defeat of Ryan Farquhar at Oliver’s Mount, Scarborough later that year gave a hint of what lay ahead and Harrison was soon earmarked as a star of the future, a tag he’s most certainly fulfilled. His debut at the Isle of Man TT races came in 2011 with a best finish of 12th in the second Supersport race, an excellent result, and, still a privateer, he improved further in 2012 with three top 15 finishes around the Mountain Course, the best of which was ninth in the Superbike race when he lapped in excess of 126mph. He also took his maiden podium at the International North West 200, won the Southern 100 Solo Championship for the first time, won the Ulster Grand Prix Superbike race – claiming a new outright lap record in the process – and again swept all before him at Oliver’s Mount, which included winning the Gold Cup for the third year in a row and setting a new circuit lap record. 2018 proved to be Harrison’s most successful year in road racing to date, starting with impressive results at the North West 200. 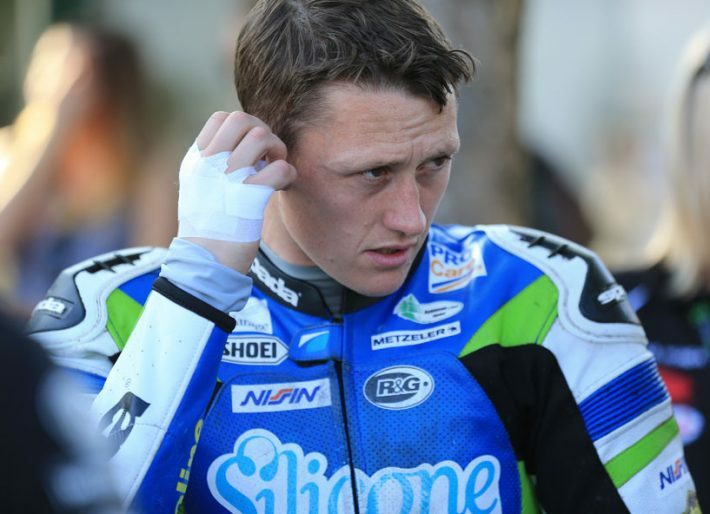 The Silicone Engineering Racing rider achieved 2nd place in the first Superbike race, 3rd in the Superstock 2, and 4th in both Supersport encounters. Heading to the TT in fine form, Harrison continued to impress during practice week, with many being sure he was going to challenge for wins throughout the races. 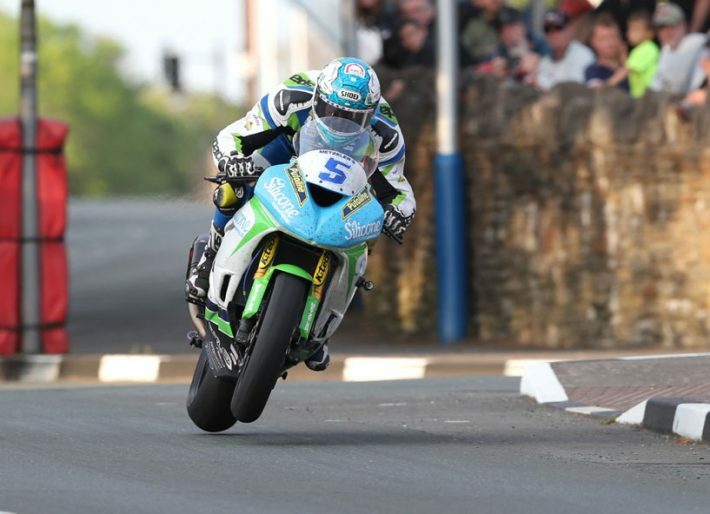 Indeed, his lap of 133.462mph on Tuesday evening was the quickest ever seen in practice for the TT. Dean could not have got off to a better start, setting a new outright lap record from a standing start, lapping at 134.432mph in the Superbike race to open up a healthy advantage. Unfortunately, a clutch problem forced him to retire on the fourth lap and meant the Yorkshireman missed out on finishing the race in which he looked almost certain to win. Harrison did not let this dampen his spirits however, as he was on the podium twice on the Monday of race week. This was as a result of 2nd and 3rd place finishes in the Supersport and Superstock races respectively. Wednesday came and Harrison found himself on the top step of the podium, after winning the Supersport 2 race in great style, pipping Peter Hickman to the post on the Silicone Engineering Kawasaki ZX-6R. Harrison was then involved in one of the most thrilling Senior TT races in history with himself and Peter Hickman battling it out for the top spot all the way to the finish line. Just under 3 seconds behind Hickman, Dean finished runner-up in the race which will live long in TT lover’s memories whilst he also set a new personal best lap of the Mountain Course, 134.918mph to become the second fastest rider ever around the challenging 37.73-mile circuit. 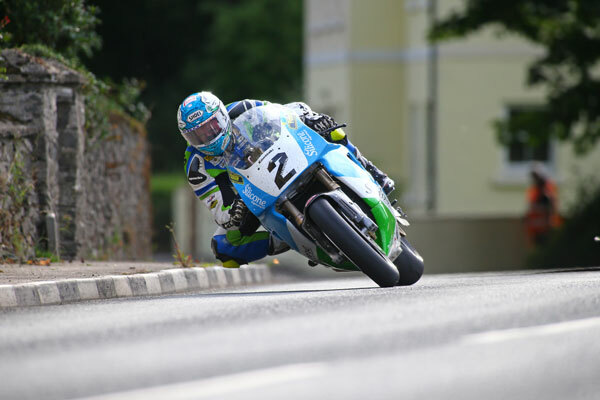 Taking five wins out of five in the Southern 100 a month later, including the feature Solo Championship race once more, Harrison capped a super year with a win in the Superstock race at the Ulster GP and more success in the Superbike race at the 2018 Classic TT. Extremely happy with his team, he’s now also become a regular in the British Superbike Championship where his results have improved steadily to the point where he’s now regularly finishing inside the top 15 and Harrison’s career will continue to go upwards in the forthcoming years.